Here it is, mid-June and by now your garden is established and producing an array of colorful blossoms. If you're like me, there's always room for more. So, try to include plants that will not only add texture and color, but a purpose. All of your hard work in planting your garden can be all for naught if you can't enjoy it. Those pesky mosquitoes and insects can ruin an evening in the garden or patio. This is the time to consider plants that will not only look lovely, but will also be productive ... plants that will help control insects naturally. There are several that will produce the results you want and be eye pleasing in your yard. Here are just a few herbs and flowers that can help repel insects, produce flowers to add to your home, herbs to add to your cooking and beauty to your already existing garden. Lavender; for centuries it's been used for its fragrance. It should be planted in the sunny areas of your yard and areas that will you wish to be pest free. When dried and made into sachets, lavender makes a wonderful repellent against moths. Lemon Balm; another mosquito repellent, grows well in this area, can be utilized dried as tea and is a lovely leafy plant that loves the sun. 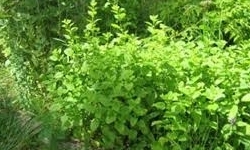 Though it is from the mint family is doesn't spread by underground runners, but rather by seed. It's best to trim down a few times during the growing season to prevent it from seeding and getting out of control. 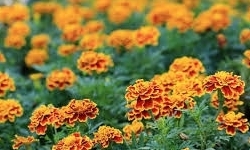 Marigolds; beautiful and in all types of varieties. Their distinctive aroma not only repels mosquitoes, but aphids, white flies and cabbage maggots. Marigolds are often used in companion gardening for just this reason. You want plants to work for you especially if they have these extra benefits for the gardener. Lemon Basil; this variety of basil seems to be the favorite to repel mosquitoes. There are many different varieties of basil available. It wouldn't be summer without fresh basil and tomatoes or fresh pesto. Lucky for us, pesky insects are repelled by it's wonderful aroma no matter which variety you choose. 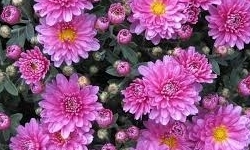 Chrysanthemum; incredible colors and a truly hardy plant, bringing color to any flower arrangement. It produces pyrethrum which is a very effective bug repellent. Use as a companion plant to discourage aphids, leafhoppers, spider mites, ticks among others. Tolerates high heat and early chills of fall. Lemongrass; a close cousin to Citronella. Lemongrass is a natural repellent because it has a high geraniol and citral content. It can be applied directly to the skin by crushing the base of the stalk until the inside is mushy pulp. Twist and squeeze the oils directly to the skin. Another plus, it makes a great tea. So, this is just a few of the herbs and flowers that help repel insects. Granted, if you are being overpowered by mosquitoes there may be other problems in your garden or patio. The big one is standing water....get rid of it! Just a small cap full of standing water enables mosquitoes to bred and make your life miserable. Below, I've added a few recipes for natural insect repellent that I found on the web. It might be worth trying it out...at least you'll smell like a million bucks! DIRECTIONS: Pour the water into an 8oz plastic spray bottle. Add the Epsom salt and shake until the salt is dissolved. Pour in the witch hazel. Add the essential oils. Ready to use. DIRECTIONS: Stir grapeseed oil, emulsifying wax and stearic acid in the top part of a double boiler, warming slowly over a low heat until the wax is completely melted. Remove from heat and pour in the Vitamin E. In a separate pot on the stove, gently warm the water just until lukewarm. Slowly pour the water into the oil, stirring constantly with a wire whisk until the mixture is thick, cream-colored and smooth. Let cool slightly. Stir in the essential oils and the grapefruit seed extract. Pour the homemade bug repellent lotion into a clean, sterilized 8oz (250ml) dark glass or P.E.T. plastic bottle and allow it to cool before putting the lid on. Shake the bottle occasionally as the lotion cools to prevent the ingredients from separating. Store in a cool, dark place. Since 1992, Lawn-Corps has been providing homeowners in the Kansas City area with quality yard waste collection, turning it into high quality topsoil, compost and mulch. We are the only green waste hauler in South Kansas City collecting and processing yard waste into high quality products.